This silk hails from the Italian mills, and is the perfect fabric and length if you want to make a shirt or top, (but wide enough for other garments too). This is a woven fabric, not a stretch/t-shirt fabric, but the lycra content adds that extra versatility to the fabric. 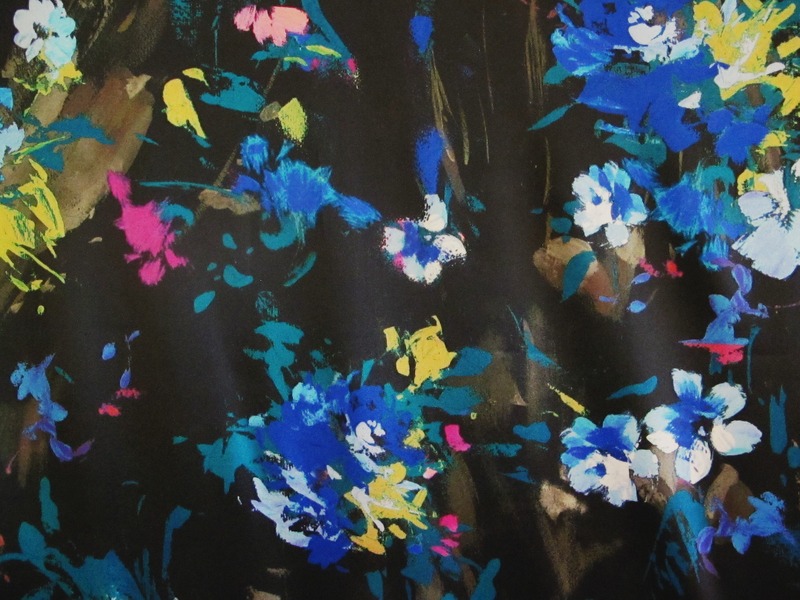 The base fabric is a black silk satin/charmeuse, with bouquets of flowers, slightly stylised, splashed over the surface. (Please note, it was particularly light and bright when I photographed this fabric and the images have a bit of a shiny surface. In fact, while the colours are true, the fabric is a bit more muted and has less surface sheen than is shown in these images). This piece of silk measures 140cm x 1.45 metres. The silk/lycra charmeuses routinely sell in the region of US$35/40+, even in the discount stores. I’ll price this at $25 a metre/$37 for the piece. Post is $8.25 for a small satchel. Please see here for full details of payments and post. 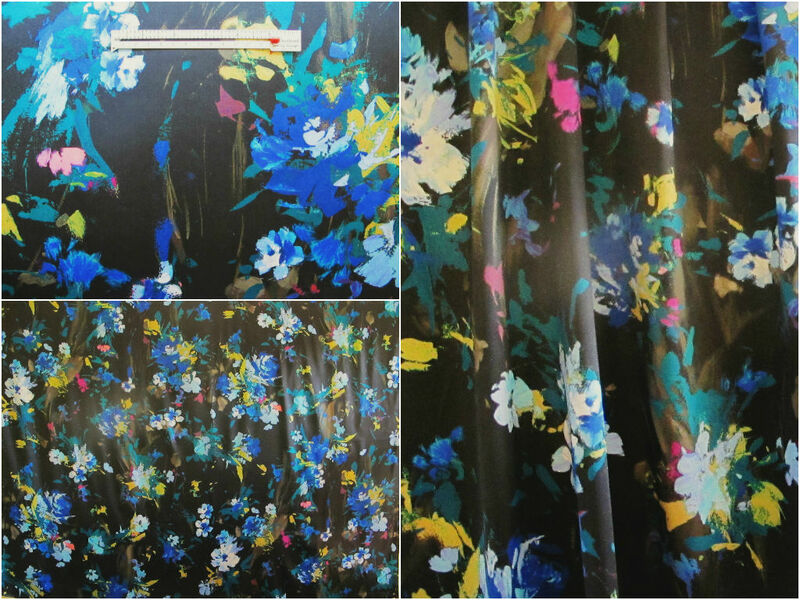 Click on the email link below if you are interested in this fabric. 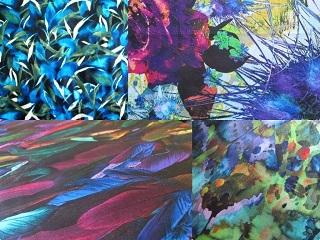 There is just so much inspiration around for stylish tops out of quality fabrics. 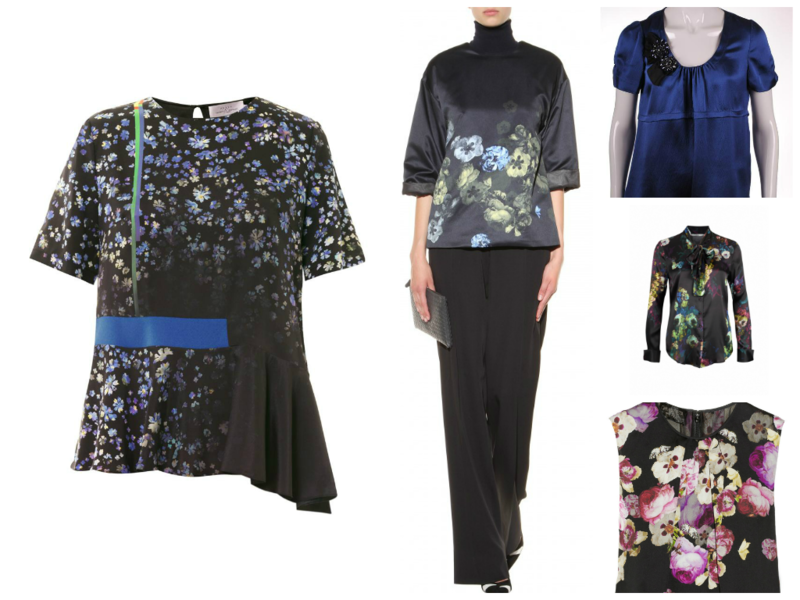 Included in this image are tops by Preen, Giambattista Valli and Vera Wang.